Finger Spinner and Fidget Spinner is the latest app for iOS and Android devices. Both Finger Spinner for iOS and Fidget Spinner for Android is exactly the same game developed by Ketchapp. With the ever increasing popularity of the handheld fidget spinner, this game uses the exact same characteristic with some gaming elements added in. The goal of the game is simple. By using some skills and power ups, you would want to break your own high record in five attempts. Below are the tips and tricks which would help you master the fidget spinner and get as many spins as possible. Your swiping direction, how fast you swipe, and when you swipe will determine how many rounds your spinner will spin. There are multiple ways to swipe. You can either swipe from left to right or right to left. Find a method that suits you the best. To maximise the power, you would want to swipe from one corner of the screen to the other corner as fast as possible. It is easiest to swipe while placing the phone on a flat surface, hold your device steady with one hand and swipe quickly with the other hand. Try to complete the swiping action as quickly as possible so that you would reach the top speed. In the beginning levels, you might need to do two consecutive swipes at the start of a level in order to reach the top speed. Always take note of the spins per minute counter and determine when you should swipe again. Remember you can swipe five times in total. As a general rule, you would only need to swipe when the spins per minute is at least 1/3 of the top speed or 180 spins per minute whichever is lower. Let’s say your maximum speed is 300 spins, so you would want to re-spin when the spins per minute drops to around 100. 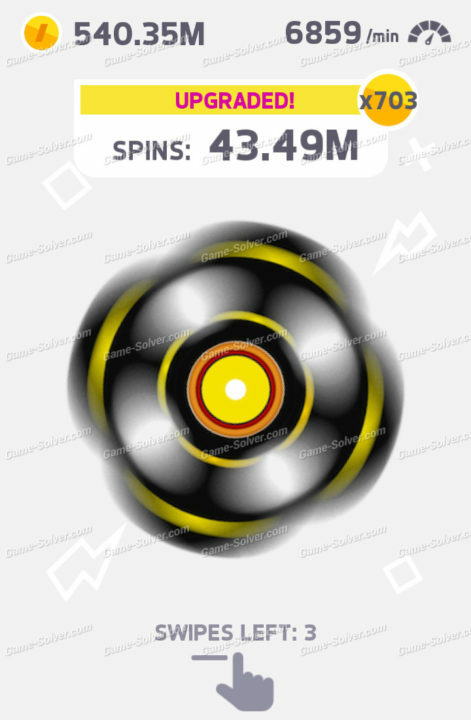 As you upgrade the spinner more and more, determine when to re-spin as to be able to reach top speed after swiping. We notice that it is the most optimum to re-spin when the spins per minute drops to 180 for later levels. There are two upgrade for the spinner, top speed and grease for the bearings. 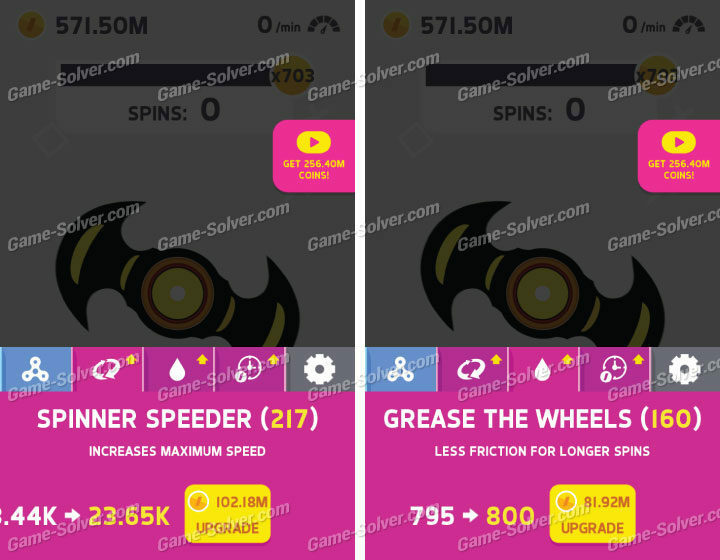 Top speed will determine the maximum speed of your spinner and grease will reduce friction so that your spinner will spin longer before coming to a complete stop. Both upgrades are important so upgrade both symmetrically. 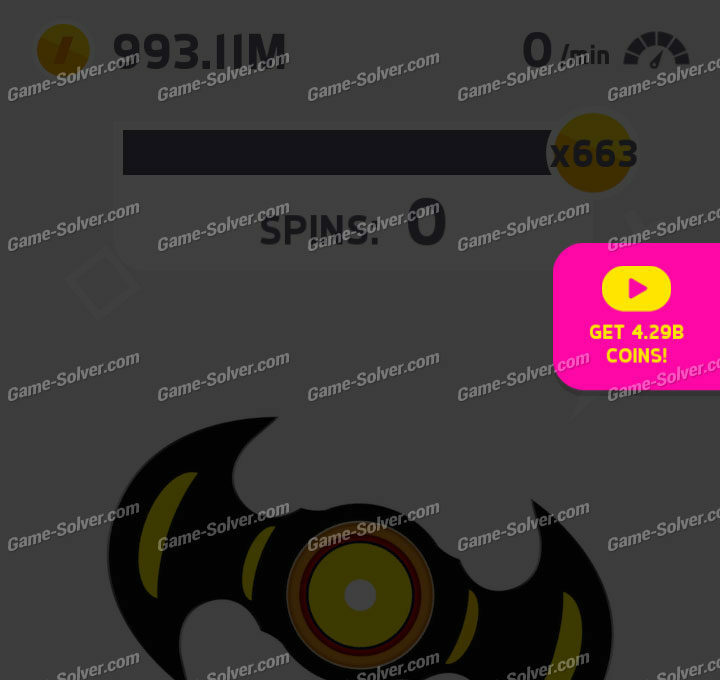 When you reach enough spin to fill the bar, you will reach the next bonus multiplier bar. The bonus multiplier starts at 1 and will double up all the way to 512.Once you reach a bonus multiplier, you will stay in that bracket. 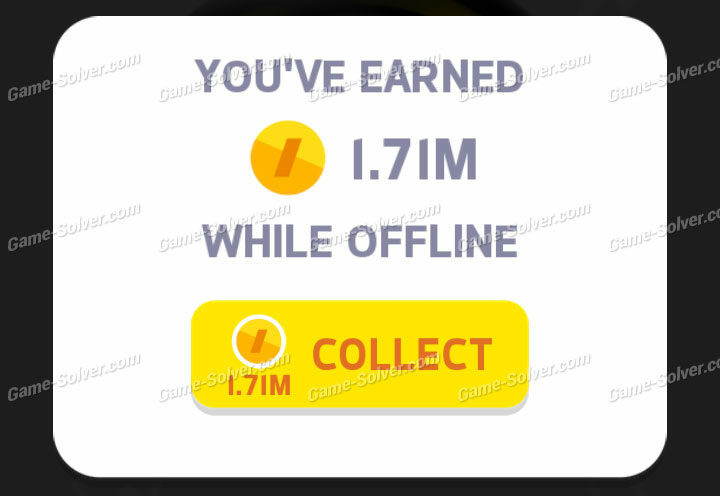 So it is worth to fill up the bar and gain more bonus for each spin as well as getting more bonus from watching ads. From 512 multiplier onwards, it will only increase by 1 each time the bar fills up. Another upgrade is offline earnings. Spend some upgrades on this before you go offline and you would be welcomed with a pleasant surprise when you come back online. This is one of the fastest way to get enough coins for upgrades in the game. When you press on any of the icons at the bottom of the screen, you will notice that you can view an ad to gain some coin. 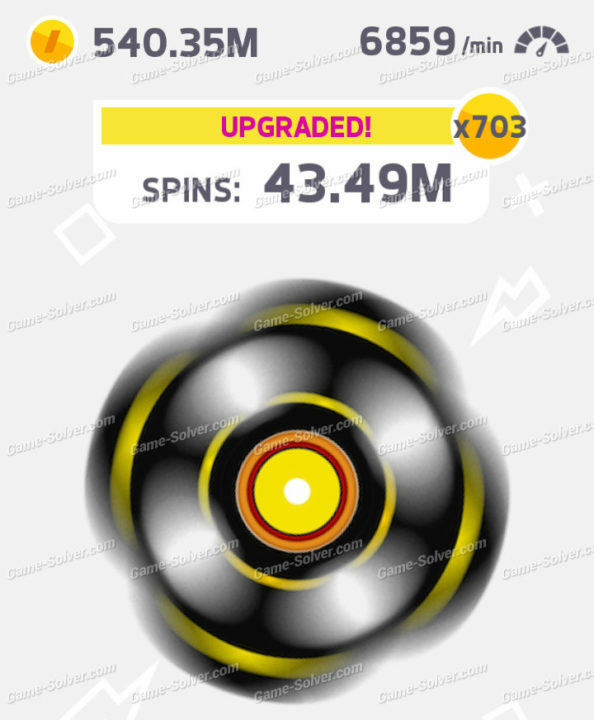 The fastest way to progress is to watch a few ads, and use the coins for spinner upgrades, then spin the spinner and try to get a new best spin record in order to increase the ad bonus. Then rinse and repeat. Note: As you level up, you will unlock new spinners. But these are just different by design and won’t affect the spins in any way. So just choose a spinner that you like. These are the tricks for Finger Spinner and Fidget Spinner developed by Ketchapp. Any other tricks you would like to share? Do not hesitate to let us know by commenting below.